At diVINE Spa, among the most frequently asked about skin conditions we get is skin inflammation such as pimples or, worse, acne – and it doesn’t discriminate. Regardless of whether you’re a preteen, youngster or grown-up, an expected 80% of the American people have experienced acne at any given time – this is a whole lot of people. And it’s great to know that in case you’re having skin inflammation, you’re definitely not the only one; for a lot of individuals, it’s awkward, uncomfortable, painful to the touch, as well as embarrassing, too. But fret not because we have a solution for you. For some guests during their first visit, they are somewhat hesitant about our skin therapy exfoliation treatments. Some are concerned the shedding procedure might be excessively unforgiving on their sensitive skin. We can assure our clients that this procedure is entirely normal and that there is absolutely nothing to worry about. Exfoliation – when properly administered and applied by one of our expert skin therapists – can do wonders in getting rid of skin problems. Our numerous satisfied clients that keep growing in number by the day are a testament to the safety and the effectiveness of our amazing skin therapy exfoliation treatments. Exfoliation is the expulsion of the dead skin cells on the skin’s furthest surface. Shedding is engaged with the procedure of all facials, amid microdermabrasion or chemical peels. Exfoliation can be accomplished through mechanical or cosmetic based procedures. 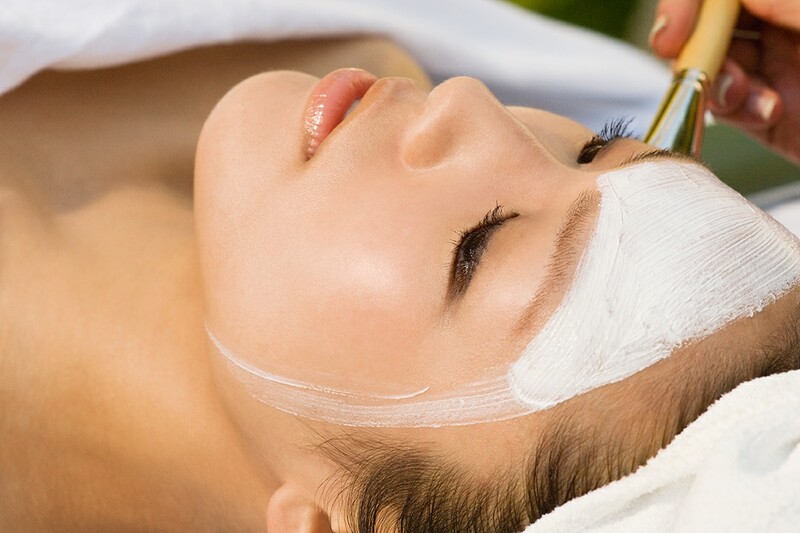 Here we lay out for you the benefits of having your face exfoliated through a nice facial treatment in diVINE Spa. Normal peeling by a skin therapist will give your skin a more youthful looking appearance. Peeling expels dead skin cells, enabling new skin to show up, limiting the presence of lines and wrinkles. Peeling your skin gently eliminates dead cells that can cause skin break outs like acne. This gives space for fresh, smooth and over all happy skin. Efficient exfoliation and facials expel dead skin cells that can trap oil, unwanted buildup, dirt and microscopic organisms in your pores, bringing about less pimples and clogged pores. A typical symptom of skin inflammation is acne scars. A typical (yet great) reaction of consistent shedding is a diminishment in acne scars. Amid the peeling procedure, your skin therapist applies a unique treatment based on your skin type, expelling the best layers. Done all the time, peeling will lessen your scars and spots, making room for clearer skin. At diVINE spa, our skin therapists are focused on breathing new life into your precious skin. Utilizing a wide range of strategies, and products customized to fit your needs, you will see an unmistakable difference in your skin. Never a one-size-fits-all solution, our skin therapists are prepared to use the best treatments for your unique skin type, customizing professional and home care treatments intended to treat skin inflammation. Call diVINE Spa or schedule your appointment on our website, today.